One Friday Night Shoot Produces Five Published Photographs! 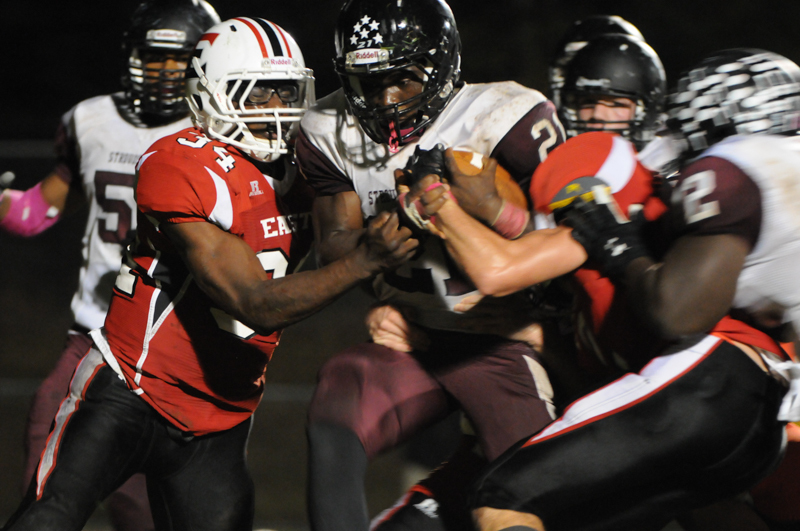 Friday night I photographed the football game in Swiftwater, PA featuring Stroudsburg vs. Pocono Mountain East. It was a typical night for high school football and I was in my favorite place — right by the action with my camera! I am getting better and progressing in my photographic skills in trying to capture the action at these Friday night games, but in no way was I prepared for what was about to happen after this game! I went about my business as usual, trying to capture the action and tell the game story with my camera. I knew I had some decent shots, and maybe even a pretty good one, by halftime. I transmitted several photos to my editor, then went home to create a photo gallery and sent that in, too. Typically, one photo runs in the newspaper the following day. Well, later that night I saw two of my photos were published. The next morning I realized a third one was published in the next day’s paper. One more was published on Monday, and a fifth photo was published in Tuesday’s paper! 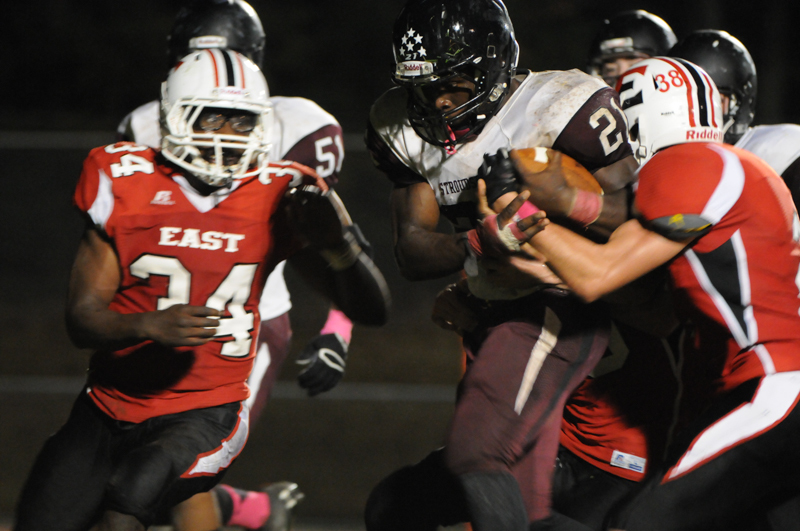 So how did five photographs from one Friday night football game get published? Well, the first two were of a touchdown with the running back dragging would-be tacklers into the endzone. 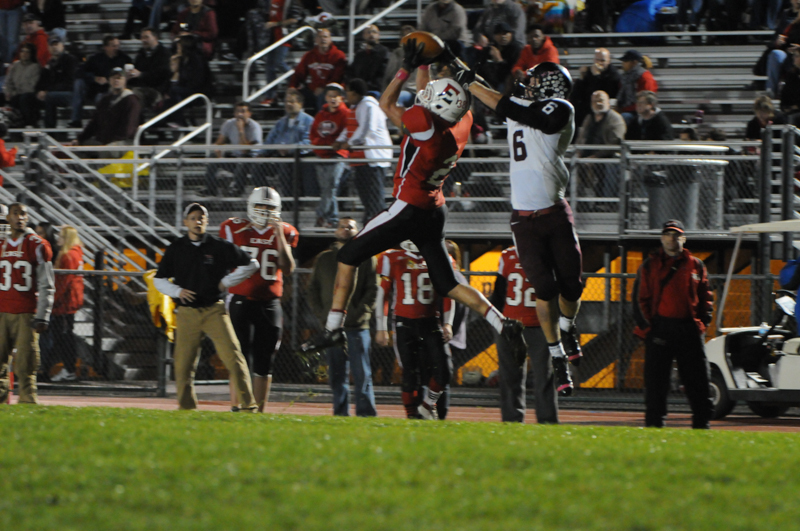 These were pretty good shots telling the essence of the game with a touchdown being scored; not a bad start. 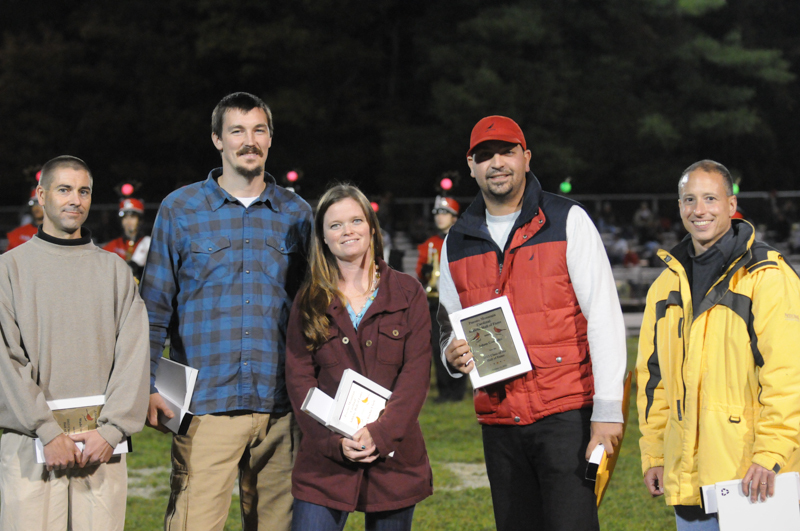 The third photo was a group shot of five athletes being inducted into the Pocono Mountain East Hall of Fame, which was celebrated at halftime. Knowing this was going to happen, paying attention enough to capture some group shots, and capturing all five names helped to get this photo published. The fourth photo surprised me when I saw it in the newspaper, but it was in the “Fifth Quarter Notes,” a wrap-up of the weekend football action, so that made sense. It was actually one of my favorites because it showed a defensive back intercepting a pass in front of a receiver, both of whom were in the air at the time with the ball just being caught. 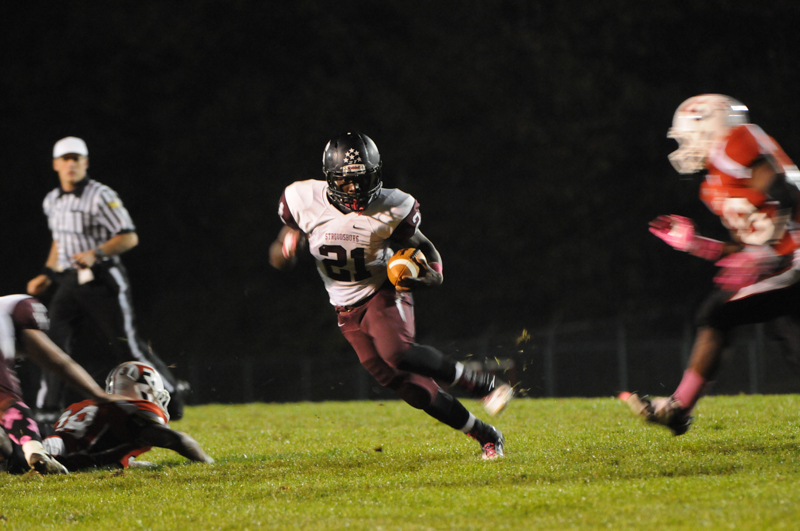 Finally, the fifth photo from Friday night’s game was printed in today’s newspaper in a feature written about Stroudsburg’s running back, Gerald Douglas. I knew this was possibly going to happen because the writer asked if I captured any good photos of Douglas at the game. Fortunately, I did capture a few decent photos and one fit the bill for this article today. You never know what might happen. I photographed Friday night’s game just like many other ones before, but this time five of my photos were deemed worthy for print in the Pocono Record! I was surprised by this but obviously pleased. Now I have an additional goal on my photo list: get six or more photos published from one shoot! In the meantime, I will continue honing my photo skills and try to perfect my craft. The moment I rest on my laurels or feel satisfied with my results will be the day I fail. Nope; I have to keep getting better and I have to keep moving closer to meeting my many photographic goals. Each game provides plenty of opportunities to capture the exciting action and tell the game story! I am already looking forward to the next game!